$12 rooms, and they're clean! A hotel in the centre of Hanoi’s Old Quarter that positions itself on a platform of “US$12 double room” is bound to cause a few cynical looks: after all that’s almost as cheap as it gets in Hanoi nowadays, so surely either it’s a clever ploy to entice punters in or the rooms are really bad. Fortunately, neither are true. 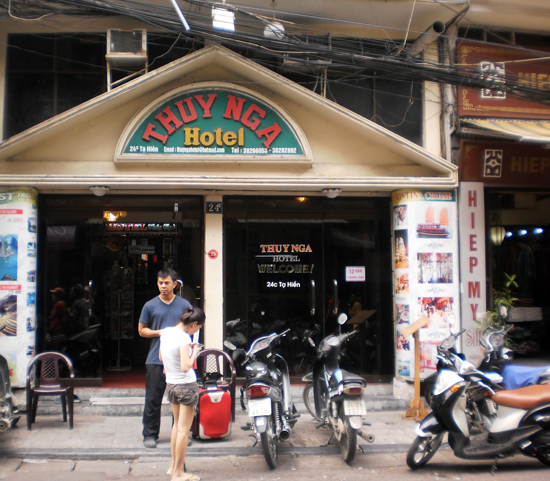 I have stood, staring at Thuy Nga Hotel on a number of occasions as I’ve waited for my rental motorbike to be serviced across the road. Every time I see it I think I should go and check it out, but its appearance has always put me off: the tinted glass windows, grubby balconies and backlit sign above a cluttered reception desk aren’t exactly enticing. However, this week I said goodbye to my beloved motorbike and so, knowing I would not be back quite so often, chanced it. The view from my motorbike rental shop. Entering the hotel involved negotiating my way around an elderly man playing with a toddler in the reception area, which was filled with items usually found in someone’s living room: a TV, toys, shoes and knick-knacks. I realised that, as is so often the case, this probably was a living room. Although the man didn’t speak much English, I was able to communicate my desire to explore the rooms and he handed over the keys. Not so much curtains as throws for the windows. The first thing that struck me as I ventured up the staircase was the smell: it smelt of clean. And despite a few scuff marks on the walls and bannisters, it looked clean too. The staircase is narrow, so could be a bit of an inconvenience if carrying large luggage, but otherwise a promising start. Each floor has two rooms, both facing the front of the building. One has a double bed and the other a double and single. Beds are small, with cheap but soft mattresses kitted out with pillows and a quilt or throw. 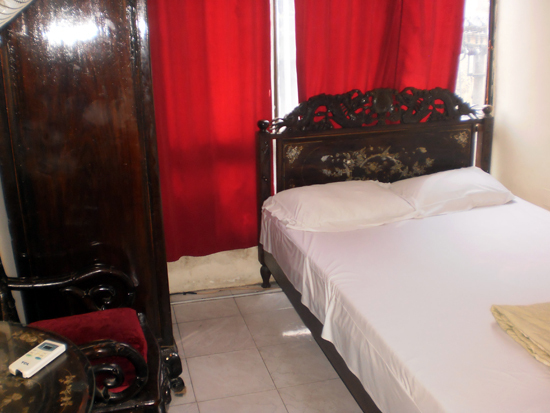 Both the beds and wardrobes are of the dark wood, traditional Vietnamese style variety and the TVs are small and boxy, so we’re not talking high-end style here. Rooms also come with a fridge, air-con and fan. Bathrooms are very small wet rooms and are no longer the sparkling white they once were, but remain relatively clean and functioning. The wall facing the street is all tinted glass, with very flimsy curtains, so rooms get a lot of natural light. Opt for a room with two beds if you can as not only are they bigger, but you’ll get a tiny balcony. It might actually be too small to sit out on but at least you can let in a bit of air and look down on the activities at street level. View from cute but non functional balcony. 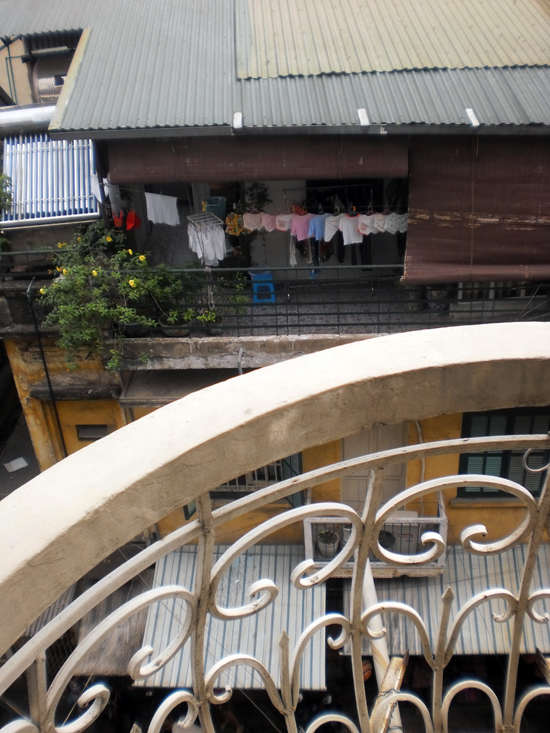 Being based on Ta Hien has its advantages — its proximity to the lively streets, shopping and nightlife — but also its disadvantages — noise. This is particularly so in a hotel with ill-fitting balcony doors and thin walls. So you may want to pack both ear plugs and eye masks. I won’t provide false hope here: this is very much a budget hotel, with space, decor and comfort to match. But it’s clean, central and reasonably well fitted out, so for the price it’s a good choice. 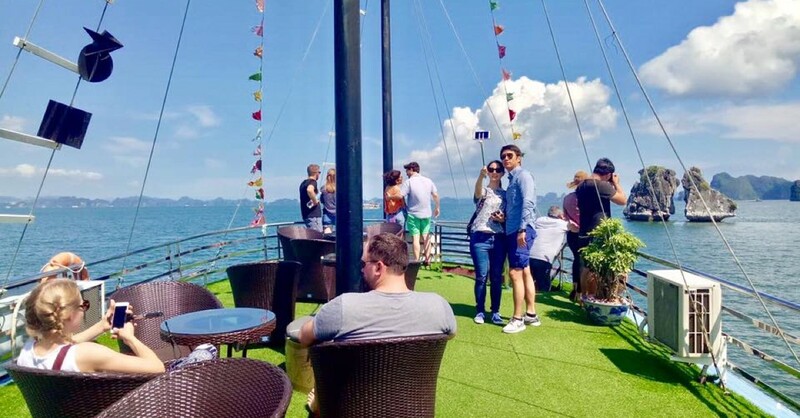 However, if you’re with a friend, rather than a lover, and prefer to spend your US$12 on two dorm beds, both Hanoi Backpackers’ Hostel and May D’Ville Backpackers’ Hostel are nearby. Last updated on 14th February, 2017. 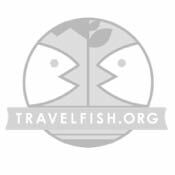 A selection of some of our favourite sights and activities around Hanoi.